Virginia Man Arrested For Having Gun At BWI | NewsTalk1230 WFVA | Talk...Done Right! (Baltimore)- Police say a Virginia man was arrested at BWI Airport for having a handgun. 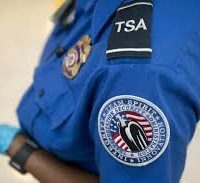 The man was detained on Friday after TSA officers caught him with a nine millimeter in his carry-on luggage. No injuries were reported. This marks the 11th handgun seizure by the airport’s TSA. Officials are warning people that bringing a gun to a checkpoint could result to fines up to 13-thousand dollars. No word on if the man will face any charges.